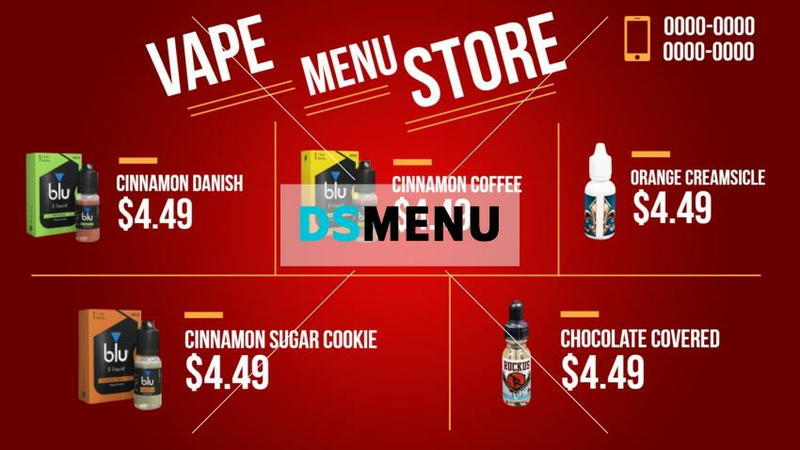 A single color vape menu board templates with prominent graphics and texts in order to make it look prominent. Selected menus are taken for menu up selling. The menu board is ready for edit and download.